Simpson Strong-Tie has been manufacturing high quality timber connectors for over 60 years and provides solutions that help people build safer, stronger houses. For Timber Structures the NCC calls up Australian Standards AS1684 Residential Timber-Framed Construction and AS1720 Timber Structures. AS1684 provides Deem To Satisfy solutions for residential structures, however it is important to realise that AS1684 has limitations and assumptions that may not be applicable to all structures. When these limitations are exceeded an engineered solution is required to meet the Performance Solution. Simpson invests heavily in research and development and all of its structural connectors are extensively tested to meet or exceed the minimum requirements. The testing of connectors has highlighted that there is much more to timber connectors than just bending bits of steel and punching holes in them. 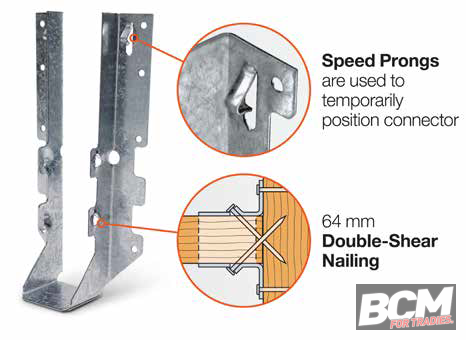 The entire connection of timber, connectors and fastener (nails or screws) need to work together to ensure a sound connection. Some timber connector manufacturers simply use a nail calculation to determine the load, and while this is one way to test, it does not include all factors. Simpson also goes beyond the minimum and do not just test for the strength of the connection but they also look at the deflection of the overall mechanism to ensure that the end result will be structurally sound and perform as intended. Strength is not the only consideration. Simpson is always looking at innovative ways to improve the products such as including speed prongs to make installation easier. The double shear nailing system reduces the number of nails required due to the skued nails and this increases productivity on site. The LUS Joist Hanger range is the most innovative and quickest to install joist hanger available. 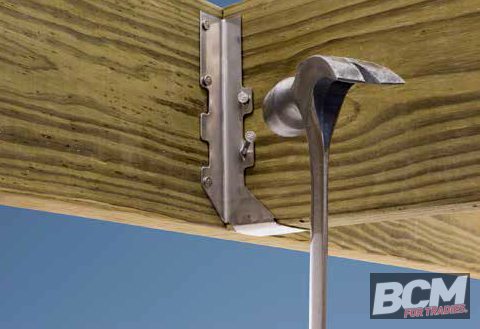 It is made from 1.2mm steel and meets or exceeds all other Joist hangers available on the market. It is manufactured with a heavier zinc coating than any other connector on the market with double the coating that is required by the Australian Standard. This extra coating will ensure it will last even outside with the treated timber that is widely used for decks and pergolas. The LUS range also comes in 316 Stainless Steel so that it can be used in sea spray conditions close to the ocean as well. The LUS range of hangers, like all connectors, is designed with holes in them so that the nail or screw goes through the hole. 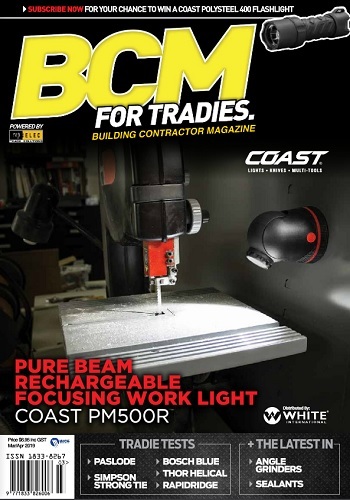 The Simpson Strong-Tie CCN64 Connector Nailer ensures that this is done with the speed of any pneumatic nailer allowing correct placement with its unique design placement system. This Nailing system, together with the LUS range of Hangers, gives you the best performance with the most economical installed cost. A big Win – Win. 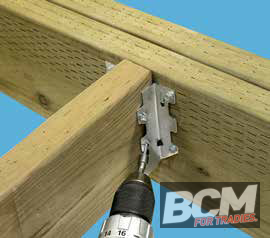 For your next timber building ensure that you use Simpson Strong-Tie connectors for a safer stronger structure.